Sunken Shrine 5F is the topmost floor of the Sunken Shrine and is unique in several ways: First, there are no random encounters on this floor. Second, the map “wraps”, which means that is behaves much like the World Map in that moving off the left edge of the map will have you appear on the right edge. 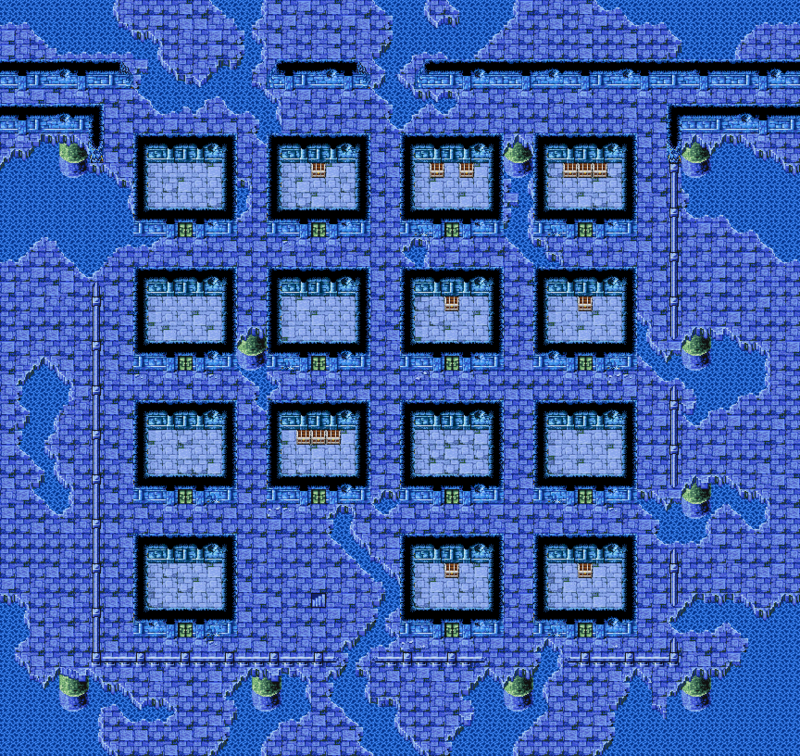 And finally, Sunken Shrine 5F is home of the Rosetta Stone, a key item required as part of a quest chain to obtain the Chime, the key item needed to enter the Mirage Tower. Other notable treasure includes the remaining Diamond armor pieces to fully kit out your Warrior, a Diamond Armlet to upgrade one of your more squishy characters, and a chest containing 10 Gil. Truly, I don’t know which of these is most valuable. A helm made of diamond. An armlet adorned with diamonds. A shield made of diamond.